This very short section of the Metropolitan Branch Trail (MBT) is expected to be completed some time in July or August according to the Monroe Street Market twitter page and TheWashCycle, respectively. 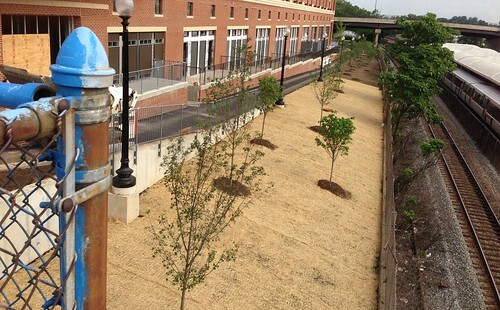 “@MBTinDC: @MonroeStMarket Is this section of the #metbranchtrail set to open in July or later?” - Expectation is in July. 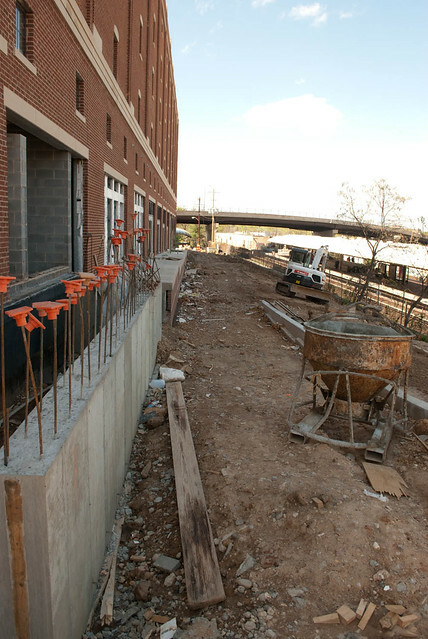 The approximately 0.1 mile section runs roughly parallel to the Brookland CUA metrorail station and the new Monroe Street Market development beginning at 8th and Monroe to a slip lane that runs beneath the Michigan Avenue NE. This section of the trail connects the 8th Street NE sharrow with the trail/sharrow portion of the MBT that runs along John McCormick Avenue NE, next to Catholic University of America.